“Thirty years ago, Thatcher went to war… these are the miners who fought back”. 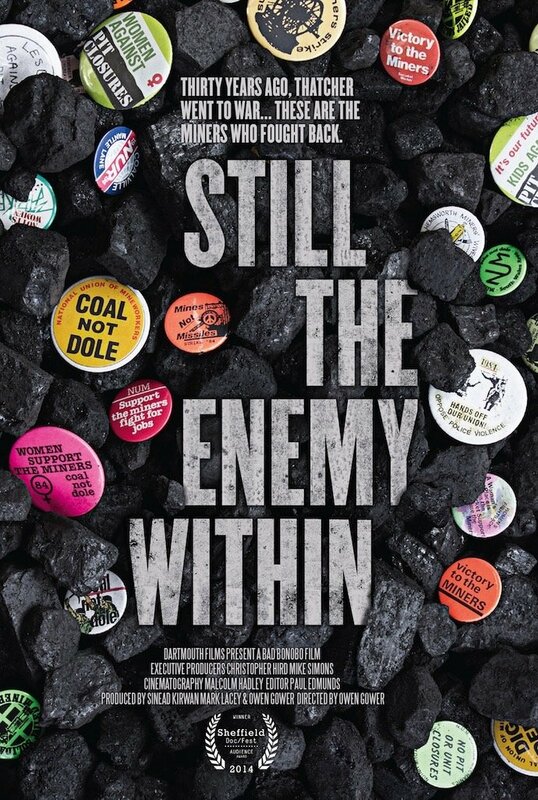 The slogan for Still The Enemy Within just about sums up what this documentary film is about. Margaret Thatcher and her battle with the trade unions across the United Kingdom. What this documentary sets out to do is set the record straight and tell the side of the story which has never really had a voice. The trade unionists themselves. For the first time, miners have put forward their side of what happened in the mid 1980s and talk the audience through the importance of trade unions, why they rebelled against Thatcher’s goals and the effects that it had on not only the workers, but their families, too. Present day interviews with the miners are gloriously juxtaposed with the grainy, gritty archive footage captured during the struggle, which has an astounding effect. For those old enough to remember the strike, it brings back memories of what it was like to be living in the UK at that time, whether one was directly affected by the strike or not. For younger spectators who were too young to remember the strike, or were born after, Still The Enemy Within serves as a piece of historical insight as to what the strike was about and why the miners were rebelling against Thatcher. Still The Enemy Within generates a real sense of authenticity; it employs archive footage and miners who were actually involved with the strike. It is a compelling watch, regardless of the political alignment of the spectator. Still The Enemy Within will be released on 3 October, 2014.